After leading a student ministry at Baylor University in Texas for a decade-long, Louie Giglio and his wife Shelley moved to Atlanta in 1995 and started the Passion conferences, a national collegiate ministry that used live worship music and teaching to encourage young people to live for the glory of God. 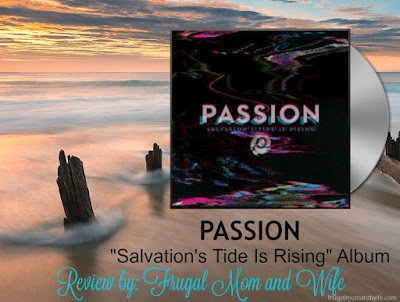 Since the second gathering in Austin, Texas in 1998, Passion decided to document the musical portion of the annual conferences via live worship recordings, praise songs with an alternative edge. The original worship leader at the conferences was Charlie Hall, but soon other collaborators including Chris Tomlin, David Crowder Band, Christy Nockels, and Matt Redman joined the fold. The growing popularity of the live discs and each of these worshippers' songs led Giglio to create sixstepsrecords, an EMI-affiliated label that would serve as a creative hub for the entire Passion team. In 2006, sixsteps released The Best of Passion (So Far), a two-disc retrospective chronicling the first ten years in the life of the movement. 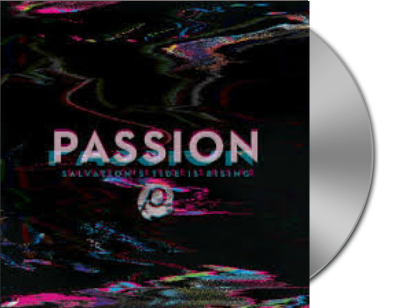 The annual Passion concerts became a praise & worship tradition and live releases drawn from each year's concert continued to appear in 2006 (Everything Glorious), 2008 (God of This City), 2011 (Passion: Here for You), and 2012 (White Flag). The 2015 Passion conference featured three separate live events held at both the Philips Arena in Atlanta, Georgia and the Toyota Center in Houston, Texas. The resulting album, Even So Come, showcased performances from Chris Tomlin, Matt Redman, Christy Nockels, Kristian Stanfill, and others. And now bringing into the new year with a brand new album. The Passion album contains new studio recordings from best-selling artists Chris Tomlin, Crowder, Matt Redman, and Kristian Stanfill. 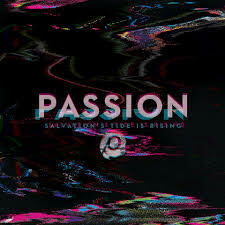 It features new songs written specifically for Passion 2016. Combining many of my favorite Christian artists in one CD is absolutely wonderful. No skipping around just one great worship song after another! Chris Tomlin has been a top favorite of mine for quite a while and I don't even know if he knows how to write a bad song. He really knows how to get out what our hearts and minds are wanting to express for our Lord Jesus Christ in the most beautiful lyrics and amazing voice. His collaborations with other artists are never a disappointment so I had to get my hands on this album. Connecting with Passion with artists I wasn't familiar with but now can't get enough of. Jimi Cravity with 'Surrender' was honestly my top favorite with Chris Tomlin with 'Good Good Father' featuring Kristian Stanfill. Every song hearts are poured out bring glory to the Lord Jesus Christ, I can't get enough. Each and every artist outdid themselves with the Passion team. Wonderfully collaborated with each artist this album is one of my top favorite mix Christian artist set. I highly recommend getting this album for yourself so you can jam out singing praise to the Lord like me. Here is your chance to win the entire album in physical CD format!! Would you like to WIN THIS CD? I am not into music so much, but this sounds like a nice option for someone who is. This is a new genre of music for me, but I love the idea of having a variety of inspirational music on one CD. I'm not that religious, but your post makes me curious to hear the music... I like anything that is inspirational. Christian songs are great, most of them are really catchy as well. I love that the lyrics are really pushy about being religious but rather, inspiring especially for the youth. Thanks for sharing this review.